Botswana features world-renowned game reserves for African wildlife safaris, offering some of the finest collections of luxury safari accommodation in Africa. In Botswana, you will experience an African wilderness journey like no other; The large concentration of game in the private concessions is incomparable to elsewhere in Africa, making it the most highly-sought after destination for a luxury safari, yet accessible to only a handful of visitors due to the limited number of authentic luxury camps, in truly private areas. Your safari experience: Botswana’s greatest wildlife experiences are in these private concessions; safari areas where you journey to find the best private wildlife & wilderness experiences. The safari camps that Into Seychelles recommends are all in these limited-availability private concessions. Finally, after your exhilarating safari experience in Botswana, take some time off at the luxurious Banyan Tree beach resort in the Seychelles, situated on the main island of Mahe. Your private in-room plunge pool offers exclusivity to share some quiet time together, enjoying beautiful Seychelles sunsets. The Mombo concession, located on Mombo Island, has quickly become possibly the most game-rich region in Botswana. Here you will encounter all of Africa's big game but also some of the most elusive species known to mankind. 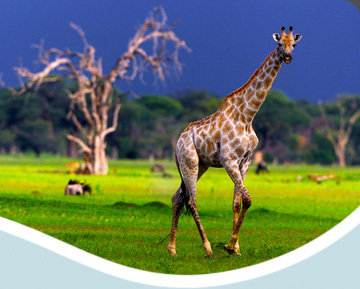 Daily safaris are conducted twice a day with expert guides local to region. Mombo camp has just nine luxuriously-furnished tented suites that are raised off the ground to offer beautiful views over the floodplains that always filled with game such as Elephant, Buffalo and the often the resident pride of lions who frequent the camp, offering wilderness spectacles right from safety and priliveged vantage of your room. The luxury tents have connecting walkways, up to 2-meters off the ground, allowing game to wander freely through the camp whilst ensuring guest safety. Mombo Camp accommodation is spacious with a master bedroom, en-suite bath facilities featuring twin His & Hers showers and an additional nature outdoor shower to indulge in the views. The main camp dining room and lounge areas overlook the plains and there is a beautiful pool lounge for relaxing in the heat of the day.